We are writing to ask you to approve the 2232 Review of the plans for the acquisition of Aqua Virginia's Indian River Water System and incorporating it into the City's water system. We believe this is wholly consistent with the City's Comprehensive Plan and an urgent necessity for health, quality of life, and economic well-being of residents of the Indian River area. The Aqua Virginia Indian River Water System has been a long running issue for our community and the focus of a persistent effort - and anger - from local residents. This Water System was initially built in the 1950's and is effectively beyond its design life. Nearly 20 years ago, the City of Chesapeake missed the opportunity to purchase the water system and since then the system and the water quality has continued to deteriorate. As highlighted in the newspaper article below, residents have been plagued by practically undrinkable water. This community in the City's "urban overlay" lacks fire hydrants. And it is not possible to redevelop the blighted Indian River Shopping Center because water pressure is inadequate to install fire sprinklers in any new construction. The Friends of Indian River have been working with the City to resolve this issue since our founding 6 years ago. When the City announced Agreement in Principle to purchase the Aqua Virginia's Indian River Water System at a Public Meeting in the community on February 22, there were literally cheers from the audience. Residents who never believed they would get safe, clean water from their taps now had hope. This acquisition is strongly and broadly supported in the community and we have urged the City to move forward diligently and expeditiously. We believe the acquisition of the water system directly supports the Comprehensive Plan Objective to "Extend public water and sewer services to existing development in the Public Utilities Franchise Area." (page 116). It also supports the strategy to "foster the revitalization, preservation, and redevelopment of older neighborhoods and commercial corridors" (page 83) and "proactively support appropriate redevelopment and infill development opportunities, particularly in areas of the City that are un-served or under-served for retail services such as grocery stores, restaurants and other shopping amenities" (page 24). We need this acquisition and ask you to approve this review of the plan. Otherwise we are abandoning the community to brown tap water, higher fire risk, and a blighted shopping center. The big news this month is that the City has reached an agreement in principle to purchase the Aqua Virginia water system that serves part of the Indian River area. While the deal still needs to be finalized and go through various approvals, once completed this would enable the City to provide much needed upgrades to the residents currently on the Aqua Virginia water system and will allow the City to provide water for fire suppression to the Indian River Shopping Center. We say thank you to Chesapeake Public Utilities Director David Jurgens, City of Chesapeake, Virginia Government City Manager James Baker, Deputy City Manager Robert Geis, Aqua Virginia President John Aulbach, and their staff for getting us to this important milestone. But we ask everyone to be on the lookout for updates and calls to action as this deal moves toward closure. See below for more details on the announcement. Parks, Recreation, and Tourism are also nearly done with the next phase of improvements at Plymouth Park. They've installed a walking path around at the park and planted native trees along that path. A new wooden vehicle guardrail will be added soon. Stay tuned for details about our Earth Day event Plymouth Park on April 21st. Site planning as also begun for the new public access park along the Indian River just off Indian River Road which will provide fishing and canoe launch access to the river; we hope to have details to share in the next couple of months! Also join us for our March meeting to get the latest scoop on recyclables and please join us for our community cleanup on March 17th. Finally, it is not too early to start thinking about the elections for Chesapeake City Council and School Board on May 1st. Seven of the nine positions on the City Council are up for election, including for the Mayor. Sixteen candidates have declared for those seats including five incumbents. Want to sort it all out? The Norfolk Highlands Civic League is inviting all the candidates to a candidate forum on Wednesday, April 11th, 7 PM at the Laurel Avenue Church. It's your chance to ask the candidates your questions about your concerns. Deadline to register to vote is April 9th! Been hearing a lot about what is and what is not recyclable? 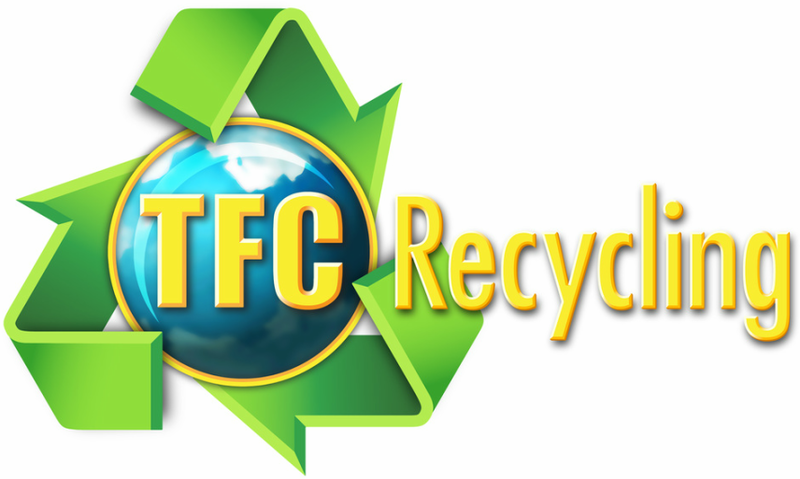 Join us at our monthly meeting to get the scoop of what to put in your blue bin from the folks at TFC Recycling. We will also have a short business meeting to approve our 2018-2019 budget. There will be light refreshments and door prizes after the meeting. We need your help for our quarterly cleanup. Join us for a few hours to clean up the mile of Indian River Road from the city limits at Wingfield Avenue all the way to MacDonald Road. We are also asking all business owners along Indian River Road - and everywhere really - to make sure they sweep up in front of their storefronts as part of the effort. And if you can't make it out for our organized cleanup please take 15 minutes and clean up the street and ditches in front of your home; pass the word to your neighbors! Action by the City Council on the proffer change for the proposed condos next to Indian River Park at the south end of Miller Avenue was delayed again, now to the March 20th City Council Meeting. While we have no position on the proposed technical change on these proffers, the Friends raised the fact that this development would require various mitigation actions in Indian River Park. Thank you to the 9 volunteers who came out to work on ivy removal at Indian River Park in February. We finished cutting off the ivy on trees at the south end of Rokeby Avenue. This was the last major area of infestation that we had not yet worked north of the power lines.